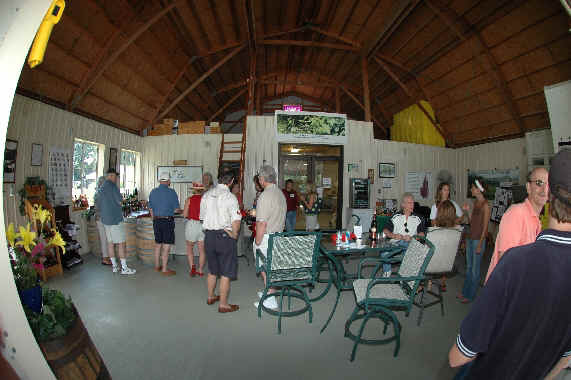 The barn that currently houses the winery has worn many hats over the years. Built in 1991 as an enclosure for our mowers and assorted farm equipment, it was converted into a horse barn in 1994, after our neighbors gave us two "free" horses..... Six acres of fenced pasture, four Morton BarM Stalls, saddles, tack, arena and literally tens of thousands of dollars later, I still question the "look a gift horse in the mouth" concept, but we loved those two Quarters and they lived long and happy lives, both passing within a year of each other at age 29. Recognize the field behind them? The current vineyard was Pistol and HB's grazing pastures. 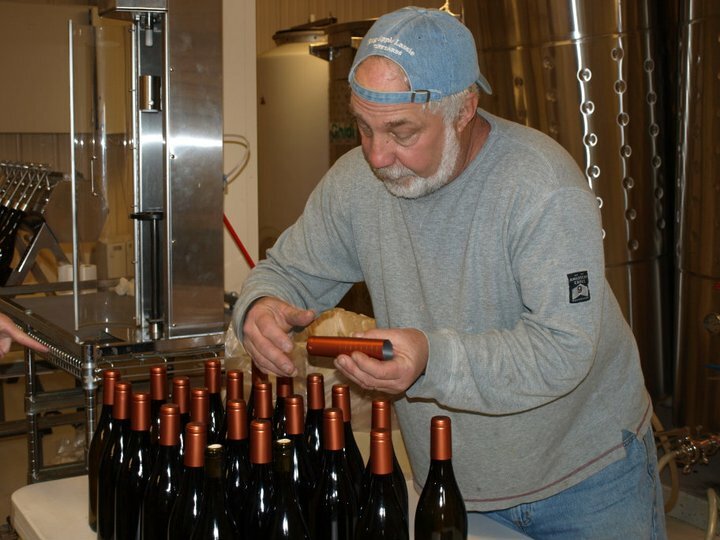 In 2003, we made the decision to move our animals to the back barn, and changed hats on the barn once again, this time converting it to a state-of-the-art commercial winery that it is today. You can still appreciate the hay loft and Dutch stall doors. 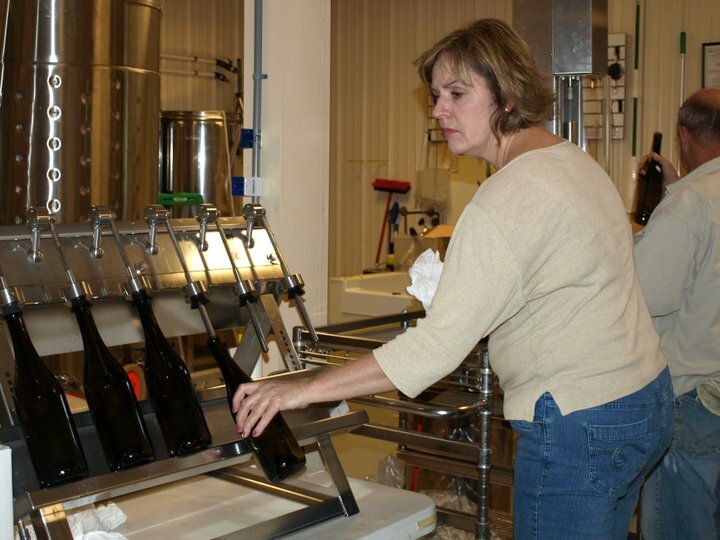 We currently have the production capability to process almost 3000 gallons of wine annually, translating into 1200 cases. Still, very small potatoes in the scheme of commercial wineries, but we'd have it no other way. Every step of production is done by hand, allowing us to maintain the artisan quality of our wines. sounds better by the glass. I got the St Louis Blues. on this dry September night. Mom forgets that she forgets things. and calls out, I love you.